Scully® Honey Creek™ smocked off-shoulder top. 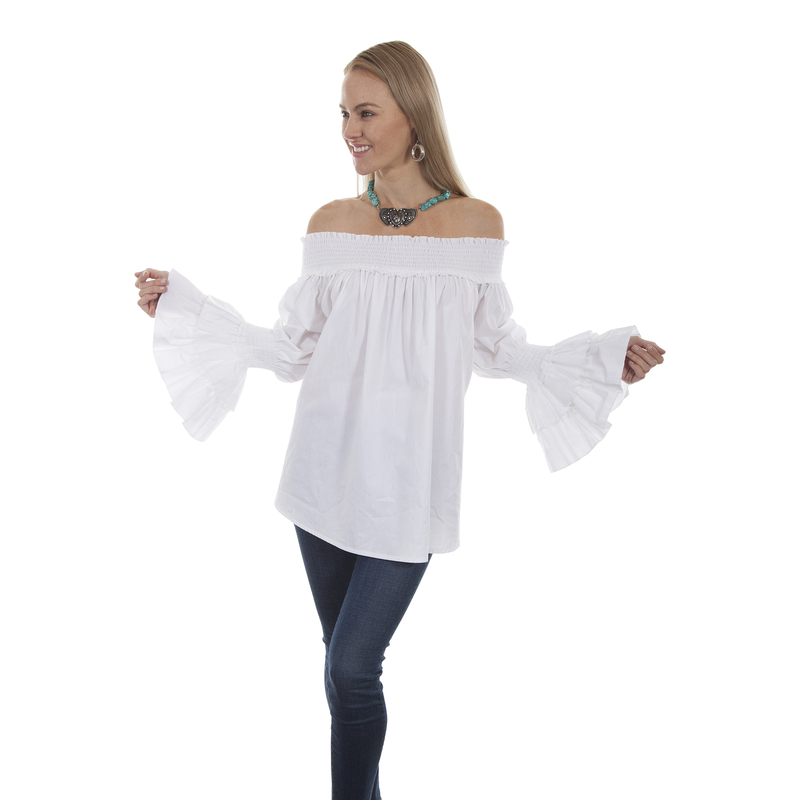 Simple, easy fit pullover blouse features a smocked neck and smocked sleeves.The highlighted features of this top are the double ruffled angel cuffs.Wear off shoulders. This blouse would look great belted with a skirt, jeans or even shorts!